I updated this post for the 2017 Red Sox Season! You may like How to Find Cheap Red Sox Tickets and Game Day Parking with updated info! Go Sox! 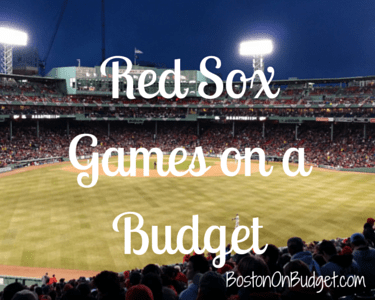 Last year I wrote an in-depth post about saving money at Red Sox games, and I wanted to share a few tips and highlights for the 2015 Red Sox season for those visiting Fenway Park this year! There are many different ways to buy tickets for a Red Sox Game and to save money too. I do recommend buying tickets beforehand instead of at the gate because it is less hassle and you won’t save much (or if any) money. You can find the 2015 Boston Red Sox Schedule for home games, ticket prices and more. Free Red Sox game ticket for kids when they sign up for Red Sox Nation for free. Just because beers are expensive in Fenway, doesn’t mean you can’t get an adult beverage for cheap near Fenway. You can also find cheap food near the ballpark before or after the game. You may just need to do some research beforehand since many bars and restaurants don’t advertise their promotions. To see every deal in depth, check out my Fenway Cheap Eats post from last year or my Boston Cheap Eats list if you are looking for food specials throughout the city that is updated often. 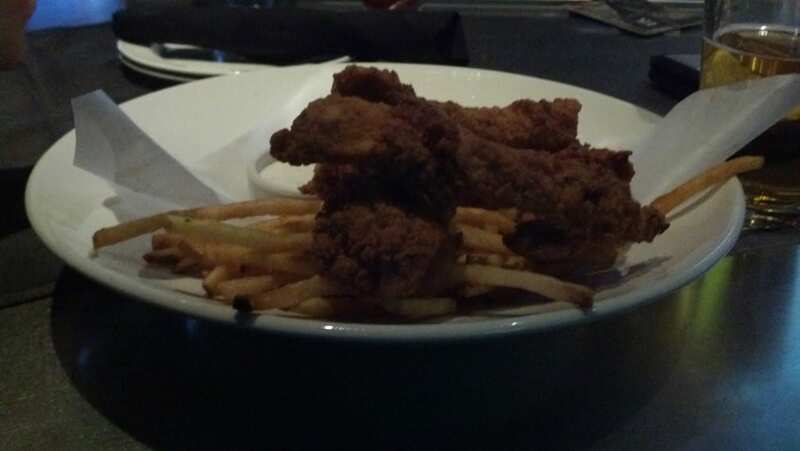 It’s a poor picture, but these are delicious Chicken Fingers and Fries purchased at the Yard House before a Red Sox game last year. They have a Monday-Friday Happy Hour from 3-6 p.m. daily and I placed my order before 6 p.m to get these for half off. The Happy Hour wasn’t advertised, but its not my first appetizer order from the Yard House The best deals by Fenway are not typically advertised and you may find better deals the further you go. MBTA– The MBTA is a great (but very crowded) option, especially if you live near a station and/or already have a monthly pass. The T is $2.65 per ride per person with a paper ticket and $2.10 per ride with the plastic Charlie Card.MBTA Parking Garage rates and availability differ from station to station. However, parking ranges from $4-$7 depending on the garage. MBTA Bus– There are multiple bus routes that have stops near Fenway Park and you can find them here. Lyft, Uber, Sidecar– Lyft, Sidecar and UberX are car sharing services that pride themselves with being cheaper than a taxi. However, they do have peak rates during high demand times, and can vary depending on demand, distance, etc. I like to have all three downloaded on my phone and then check availability. Sidecar: Use promo code KATE173 for a free $5 credit when you sign up for Sidecar! Meter Parking: This can be risky, but can be an inexpensive option, especially for night games. Parking further away from the ballpark may give you more options and make sure to read parking meter signs for restrictions and timing. For some specific ideas of where to looking for spots, check out this post here, however, I am assuming a lot of these spots fill up fast! Note: Starting this season, if you park in a residential spot in Fenway/Kenmore without a sticker, the parking fee is $100 during game days. Parking Panda: A smartphone app that finds available parking garages and you can pay through your phone. New users can get a free $5 credit with my referral link. Do you have any tips for saving at Fenway Park or for purchasing Red Sox tickets? What did I miss?